With busy family and work schedules, often puppies and dogs spend too much time home alone. 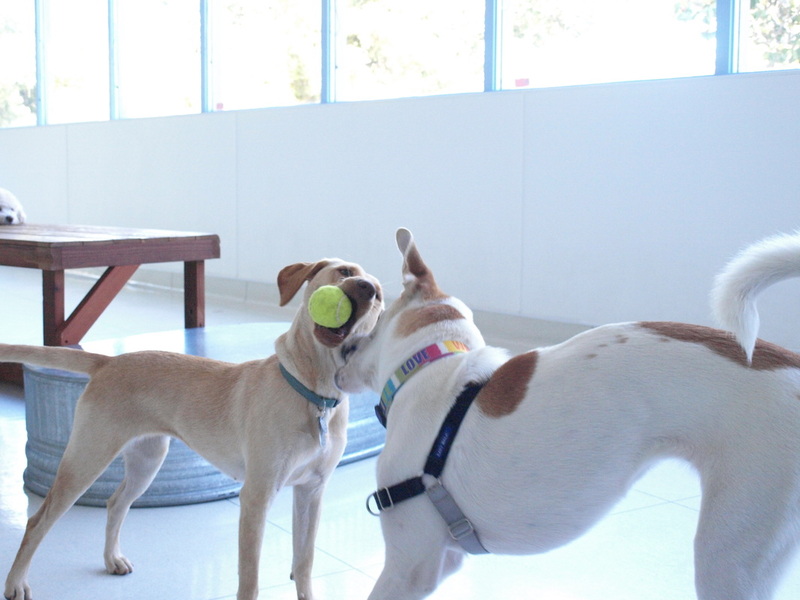 We provide a clean, climate controlled cage-free daycare where dogs can learn and grow through fun play with dogs and interact with our highly trained team. When you pick them up and head home, you can relax and tell each other about your day. During the temperament evaluation every dog is evaluated individually and in dog group settings to determine the best daycare program for each dog. 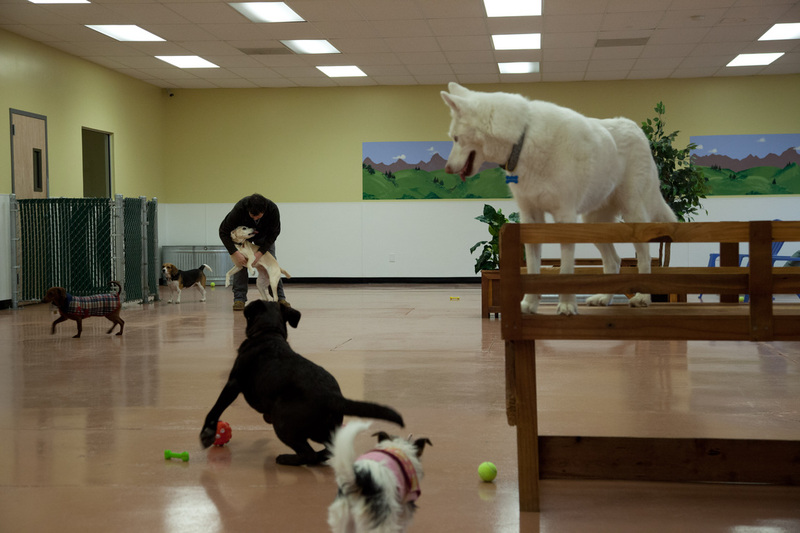 Once carefully evaluated, dogs are placed in playgroups according to temperament. A staff member is in the playrooms at all times. During every visit, your dog is monitored by members of our staff in order to continually improve the level of safety and positive experiences. 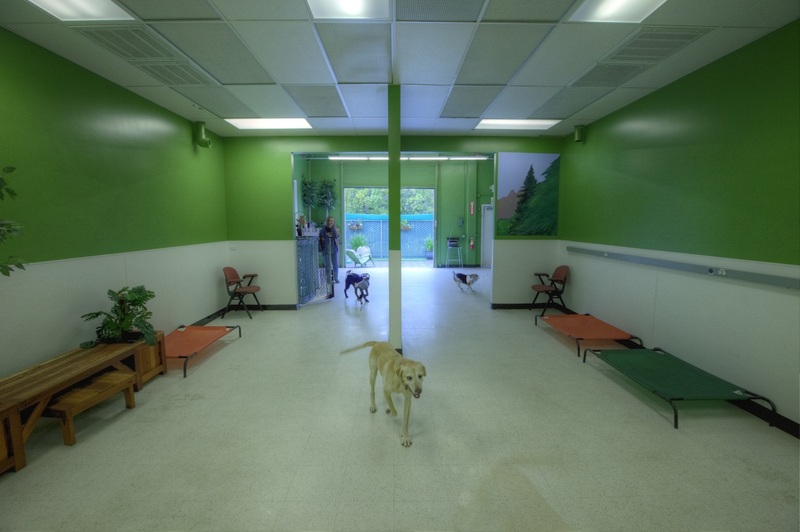 Sweet Doggies Daycare leads to happy and healthy dogs and owners. In addition, socialization allows them to become well adjusted and better behaved family members and canine citizens. Our daycare day begins at 7AM and ends at 7PM. That is a full 12 hours of daycare, available seven days a week, 365 days a year. Sweet Doggies is here when you need us. Why we offer the “Try Us, You’ll Love Us” promotion for a free week of consecutive daycare. 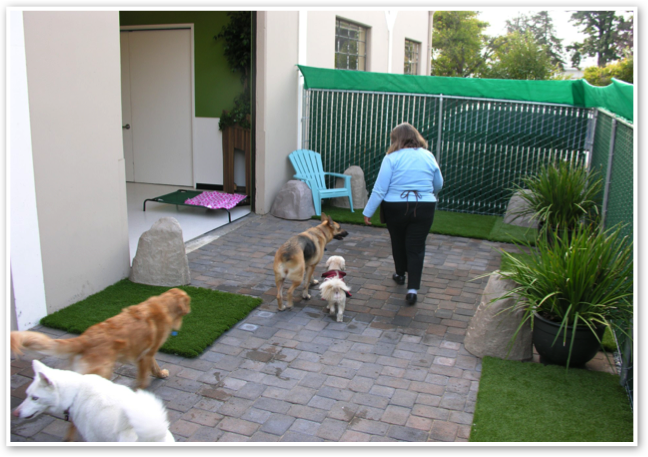 We think that cage-free dog daycare and boarding is the best service for dogs, but we understand that not everyone has used it before. We want to give you an opportunity to try us because once you see the difference it makes for your dog, you will be back. 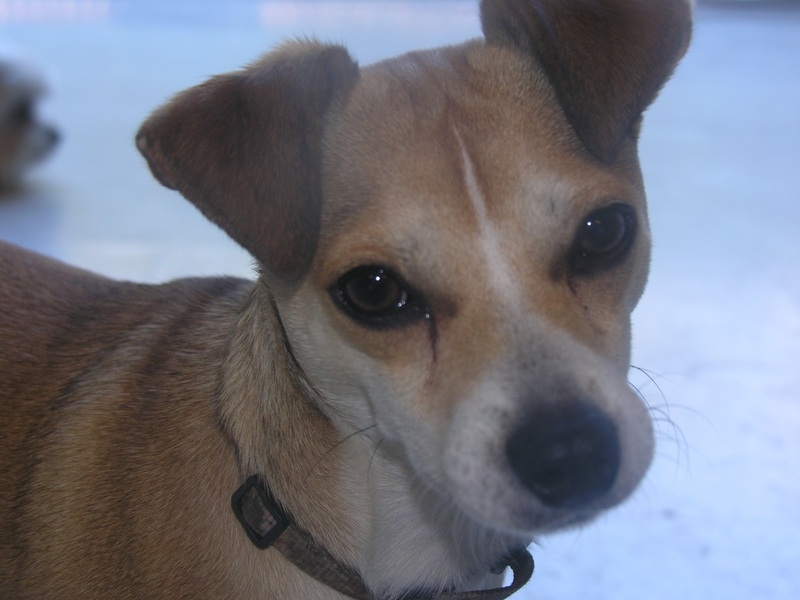 In addition, shy or nervous dogs need some extra time to become relaxed in new surroundings. This lets you bring them in several times at no cost before they board* so they will be happy and relaxed at their new home away from home. Call to set up a temperament evaluation to get started. We’re proud of Sweet Doggies and hope to see you soon. *The free week may not be used as a discount for boarding.